Who don’t wish to hang the style in a fashionable manner? Zipping all the gaps with the prevailing fashion, handbags alert the trend every now and then with their rebirth from runways. In every women’s life, there are alteast a few bags which left them gasped, a few that made them forget to take their breathe and of course a few that decked up their dreams. To all those fashion fanatics who like to join the stream of style, here is a list of trending bags and pics explaining how to carry them elegantly like celebs. One of the fashion followers in the Bollywood, Sonam Kapoor used style power in her film Khoobsurat by strutting smart in a pile of looks where we can find her having backpacks attached at many scenes. 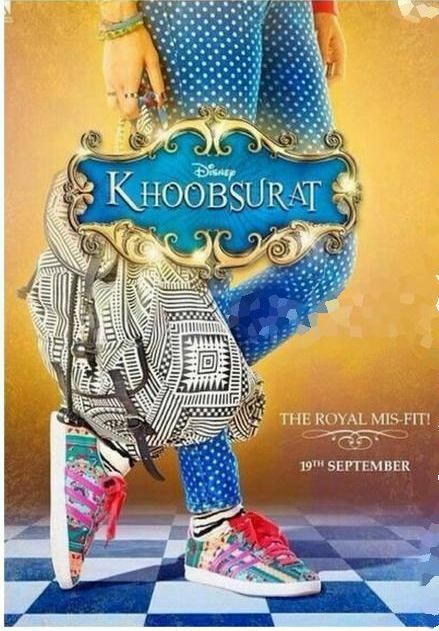 She is not a rookie in bringing styles from any run way and had done the task of sporting backpacks absolutely perfect in the chirpy look portraying Khoobsurat film. Chanel bags are love of ladies, especially when it comes to celebs the love is quite dire that most of the celebs don’t keep their leg out without a Chanel bag. Though, many new designs are coming out every day, Chanel follows its heritage of giving tough competition rather than flinching. 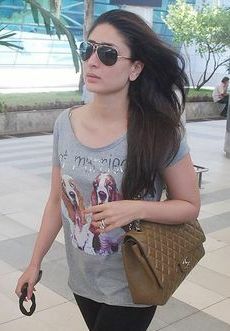 Watch how Kareena Kapoor Khan is carrying a Chanel bag next to cool. Alexander McQueen, the name which exemplifies the blend of royalty and stylishness is a hot favourite for people who are in search of filling their wardrobe with a trait of luxury. Check out how Deepika Padukone got the confluence of simplicity, royalty and a touch of class with the Alexander McQueen bag in the picture below. For the film Piku promotional rounds, Deepika Padukone was appeared in a black Armani dress to which she added aesthetic vibe with the help of a Alexander McQueen bag. With a fringe Burberry bag, she finished her look to the perfect. Guess, who’s she? The Prem Ratan Dhan Payo actress Sonam Kapoor. During her arrival from Turkey, the diva structured her look in one of the fashion list fronting looks – hipster. Making all the mediocre looks major, Bucket bags are in the trend since many years with their quality of being fresh all the time. Encompassed by all cute stuff: bucket bag, locket and shoes, Samantha Ruth Prabhu posed to a click and made her Twitter fans enjoy how she’s following fashion. Potli’s are ever trending just as they shine. They fit on ethnic wear and are true at finishing the look more traditional. Look at how the eternal diva Sridevi fortified her attire more brilliantly with the simple potli bag during Ganesh Chaturthi festival.